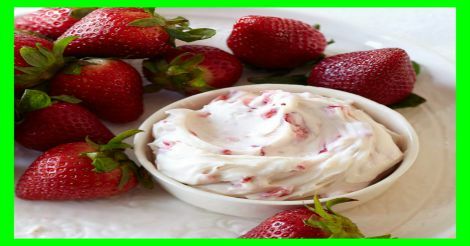 Cold, creamy and delicious, this berry-infused dip is wonderful served with whole strawberries or even spread over thin chocolate wafers. Wash and dry strawberries; place on a serving platter. Finely chop 1 strawberry; set aside. Using an electric mixer, in a medium bowl, thoroughly combine cream cheese, sugar and vanilla; gently stir in chopped berry and spoon into a small serving bowl. Serve strawberries with dip. Serving size: 3 strawberries and 3 Tbsp dip.